If you are a small business and especially if you are a technology provider you should be using Social Media extensively in your business to promote yourself. Any business that isn't embracing and being successful using Social Media runs the very high risk of being seen as inferior to those competitors who are. 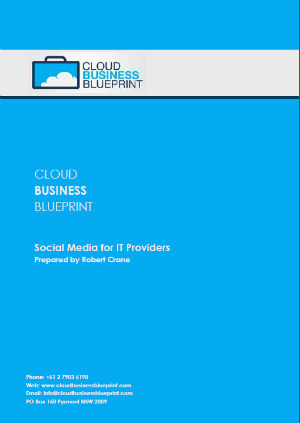 When clients need help with their Social Media strategy they are going to turn to their IT provider who, if unable to demonstrate knowledge, run the risk of allowing a competitor gaining access to their clients. This book will explain to you’re the major platforms and how they can be integrated into a business. It will also provide seven strategies that you can implement to ensure your Social Media implementation is successful.